One of the problems of the modern soundbars is that they don’t provide very good rear sound. They do a good job with the front sound stage and ok with the bass usually through the small subwoofer, but rear sound is usually non-existent. Samsung has come up with an economical solution for that issue, the Samsung SWA-8500S/ZA rear speaker set. The set is a combination of wired and wireless. The system is wireless from the soundbar to the rear station, but wired from the rear station to the left and right rear speakers. This may or may not work out very well depending on your setup. 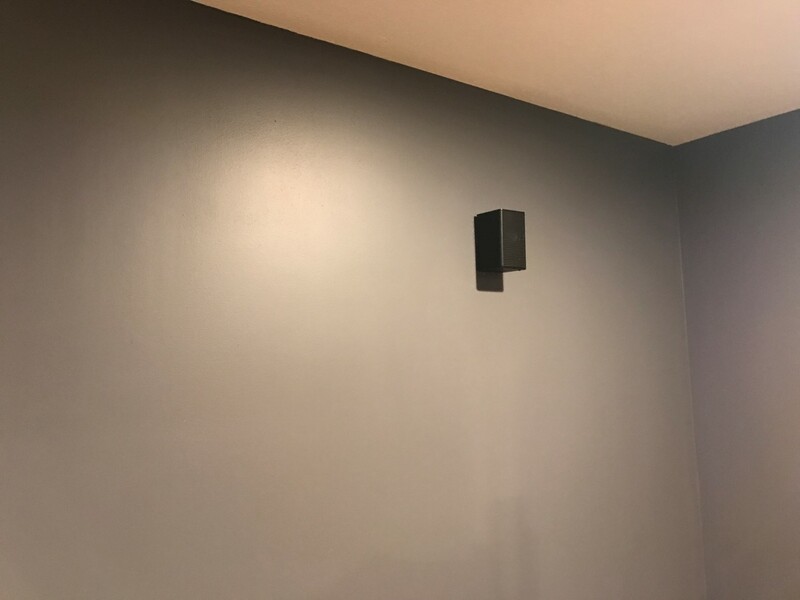 If you have a living room and want to hang the speakers on the wall, it may be a little hard to hide the wires. On the other hand, if you have a bunch of shelving and other items on the back wall, hiding the wires should be easy. The wireless communication between the soundbar and the rear station is pretty strong, I keep mine in a storage closet and it works great still. I didn’t test how far it would work, mine is about 15 feet away and works fine. Hooking them up though, they didn’t connect very well at all. Initially, I had to have them right next to each other in order to get the soundbar and the rear station to connect. I’m not sure why there was an initial communication problem when trying to pair the items but there was. How do the experience do they add? A ton, they’re great. When you initially plug them in, you might find them slightly underwhelming. One of the problems you may have, depending on your room, is that they might be too soft. Luckily, you can adjust them pretty easily to be louder through an option on the soundbar. I thought about going that direction but when the 8500S was on sale that made my decision pretty easy. Now that I’ve heard the 8500S, I’m glad I went that route, they’re plenty loud enough for my particular area. If you have an area where you want louder rear speakers though, you might want to consider going with the 9000S pair. The Samsung SWA-8500S/ZA is an excellent rear speaker solution for those looking to expand your soundbar sound to a higher level. I know that after I installed it the appreciation level for the sound system went up a notch from the people using my workout area. The video games I play on it are definitely a lot better sounding with the rear speaker addition. 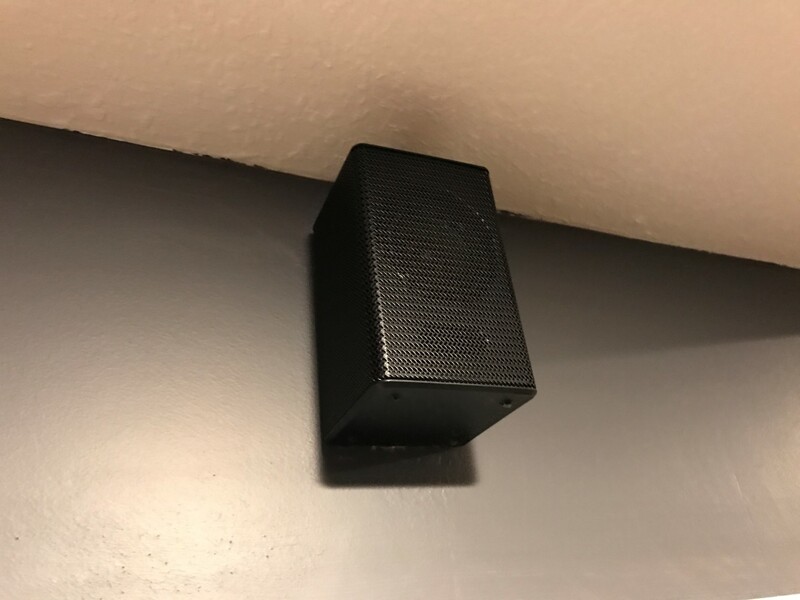 Any idea what the gauge is on the speaker wires if we needed to extend? This is my current issue.. the wire isn’t long enough for my setup. It’s not very thick, that’s for sure. It kind of looks like 22 gauge wire, but if you’re extending it over a farther distance using 16 gauge might be a good idea, as you need thicker wire the farther the run is.